Nintendo held a brand new Nintendo Direct today, and this announcement was kind of out of left field but at the same time I love that Nintendo is getting big names on the Switch. 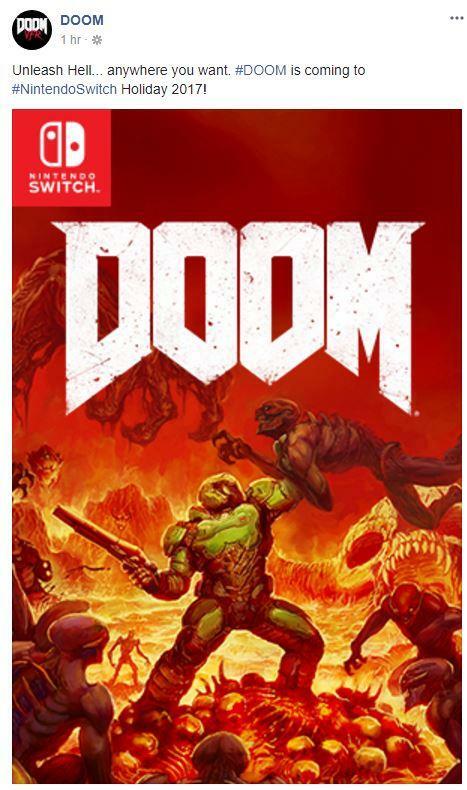 Anyways, both the 2016 Doom Reboot and the soon to be released Wolfenstein 2: The new Colossus are both coming to the Nintendo Switch and Doom will feature online multiplayer as well. No solid release dates yet except that Doom will be launching "Holiday 2017" and Wolfenstein 2 will launch in "2018"